In year’s past we learned that you’re going to need more than one stiff drink to get through the entire ten-hour Academy Awards, and luckily we found a cocktail that bears a striking resemblance to that hefty gold statue. And also, you don’t need to purchase too many ingredients to make it at home (you do have those 24 karat gold flakes hanging around, right?) while you swig away during what’s-her-face’s acceptance speech. Pour elit into a mixing glass with ice and stir until ice cold. Strain and serve up. 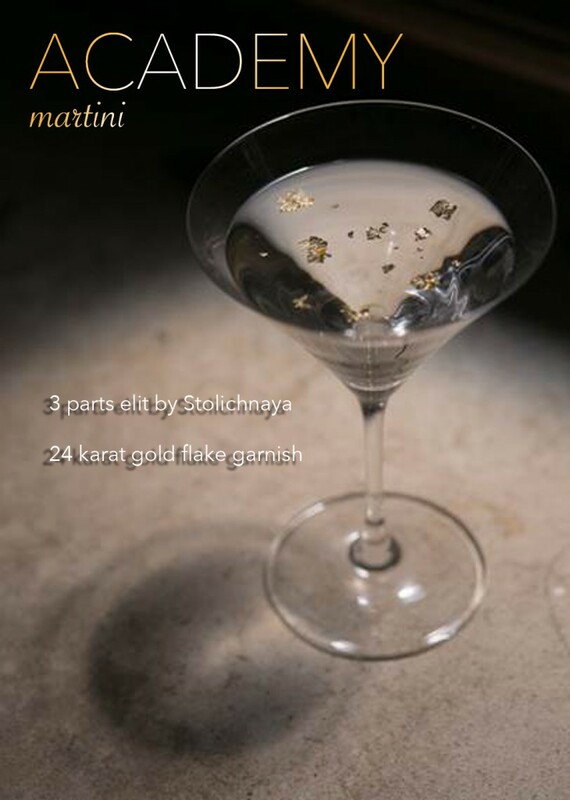 Garnish with 24 karat gold flake.